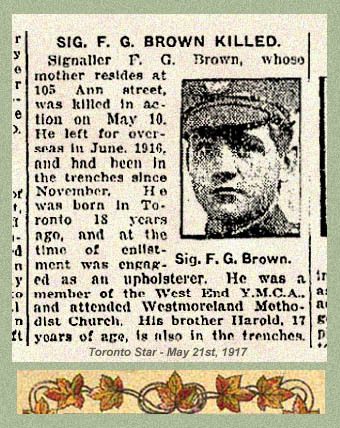 Signaller F.G. [F.J.] Brown, whose mother resides at 105 Anne street, was killed in action on May 10. 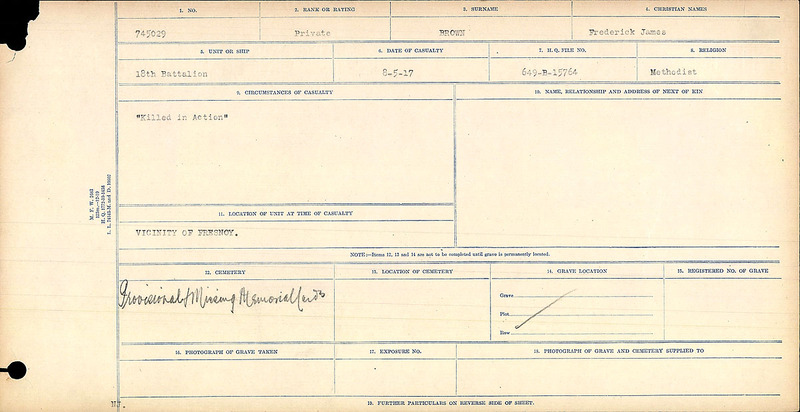 He left for overseas in June 1916, and had been in the trenches since November. 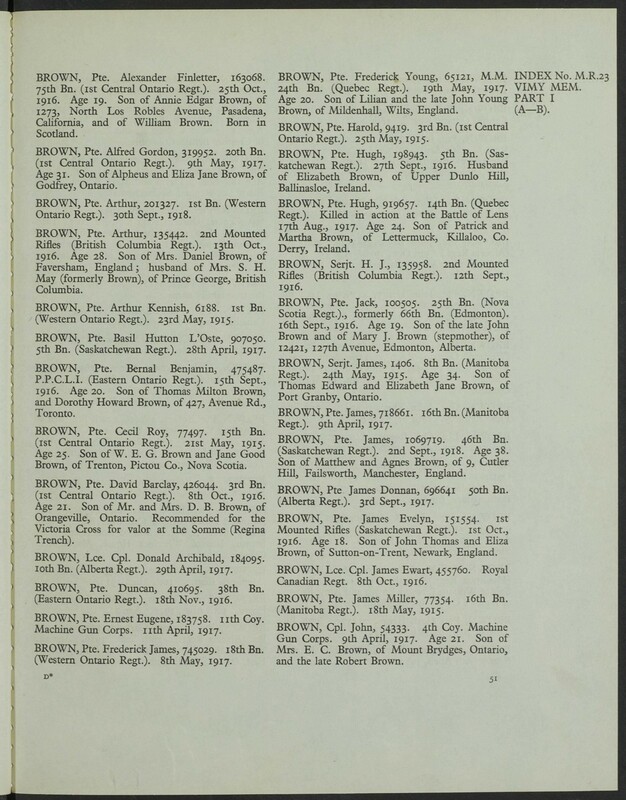 He was born in Toronto 18 years ago, and at the time of enlistment was engaged as an upholsterer. He was a member of the West End Y.M.C.A., and attended Westmoreland Methodist Church. His brother Harold, 17 years of age, is also in the trenches. Source: Toronto Star. May 21, 1917.